Six months after I bought my truck, I was behind a snow plow that threw off a rock and chipped my windshield. I had to catch a flight out that week and didn’t have time to do anything about it. When I got back from my trip the whole windshield had cracked along the lower ¼ of the windshield. I drove like that for two years. Why did I not replace my cracked windshield? I was too scared to call my insurance company about it. Don’t get me wrong it was very annoying having that crack there. It felt like I was only looking out of half of the windshield. When the sun would hit it at certain times of the day it would actually reflect light into my eyes. One day I had enough, and I got it replaced. I am always afraid to involve my insurance company for fear of raised rates. If you are reading this, I suspect you are facing a similar situation and are looking for some answers. Here is the number one thing you need to know about your car’s windshield: It is a structural component of the car. That’s right, the way windshields are made today and installed, they are part of the structural integrity of your vehicle. In the event of an accident or even a rollover, even just a single rock chip or “star” could put your life in danger should you get into an accident. Not to mention the fact that it is designed to keep you inside the vehicle in a crash. Nearly 30% of traffic fatalities happen when a driver is ejected from the vehicle. Will my car pass inspection with a broken of cracked windshield? If your state like Maryland Texas Virginia and others, requires inspections to get vehicle tags, the answer is no it will not pass. 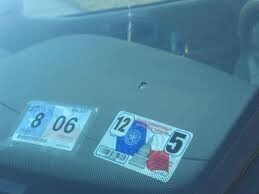 You will have to get your windshield replaced if it is damaged and you need to register your car or re- inspect it. Windshields can cost anywhere from $400-$600 dollars for a quality replacement. So naturally many car owners default to the lowest-price option. According to Debra Levy, president of the Auto Glass Safety Council (which offers certification for installers) using original manufacturer’s glass is a plus, but choosing a good installer is even more important. To find a certified automotive glass shop near you, visit Safewindshields.org and type your ZIP code into the box at the top of the page. The National Glass Association also offers a feature to find certified installers. Certification is valuable because it keeps installers up to date on advances in adhesives and changing automotive designs. The Auto glass industry has a term for fly by night low cost windshield repair companies: tailgaters. These installers get their name because the do not have a brick-and-mortar shop and simply show up with a van or a pick up truck at your location. The problem is many of these installers quickly “slam” windshields into cars with little regard for safety. These guys are known to not handle the windshield correctly, or use the proper adhesives and leave the car unsafe for driving and prone to rusting and leaks. 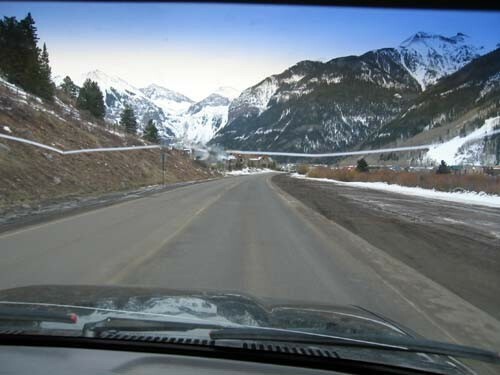 The windshield is a layer of protection that keeps you inside the car and things out of the car. This is not the place to cut corners on and go with the cheapest price. ABC News ‘ 20/20 did a feature on windshield safety where they showed technicians incorrectly installing windshields who not wearing gloves. The grease from their hands prevents the adhesives from bonding correctly. Another error that 20/20 caught was technicians failing to use all the necessary bonding agents, such as primer. Ask if they use original equipment glass- OEM glass is usually of higher quality and fits better. Ask how long the car should sit after the installation is complete. If they say you can take the car right away, you should run in the opposite direction. A car should sit at least one hour before being driven and sometimes up to 12 hours, she says. Do I need to go to a dealership to get my windshield replaced? Most dealerships subcontract the job to a glass shop and then mark up the price about 30 percent. Going directly to the glass shop to save money. However, when a car is new, the dealership might be the only place to stock the glass. Some auto body repair shops also have their own glass division such as ABRA Auto Body and Glass which is a national chain. They also have an online replacement estimating tool which can be found here> Abra Auto Body and Glass’s online windshield estimating tool. Most windshield installation jobs take only about an hour and can be done at your home or office. Once the installer is finished, check for signs that the job was completed correctly. Things to look for include making sure the molding is straight and that there is no sign of adhesives visible inside the car. The car should be clean inside. Debris or dirt left in your car could be the sign of sloppy workmanship. Can a windshield simply be repaired and not replaced? In some cases, a rock chip or star in the windshield can be repaired, saving you the cost of a new windshield. Some installers claim that cracks can be repaired even if they’re up to 15 inches long, but only if they intersect just one edge of the windshield. Rock chips are easier to repair when the damage has just occurred. Over time, rain washes dirt into the crack, making it harder to seal. That is what happened to my truck windshield. They price range for rock chip repair vary, but are generally $29.95 for onsite repair work and $19.95 if you go to the auto glass repair shop. You can buy kits from your local AutoZone or similar auto parts store, but the pros have better equipment and much more experience so you will probably get a better repair. Is the windshield replacement covered by my car insurance policy? Sometimes windshield replacement is covered under you comprehensive coverage, not your collision coverage even though technically it is the result of a collision from a rock or debris (as was the case with my truck). I have State Farm and I have a glass policy. When I got my windshield replaced it did not cost me a dime. Also my insurance rates did not go up either which was my concern. You might have to pay a deductible though. The deductible for comprehensive coverage is sometimes only $50 or $100, so that would be the cost of a new windshield. Insurance companies would actually rather that you get your windshield fixed or replaced because statistically it saves them money in the long run. Windshield rock chips or cracks that are in your field of vision can actually slow your response to emergency traffic situations. Old windshields that are pitted or hazed should be replaced — even if they are not broken — since they can magnify the glare of the headlights from oncoming cars at night. 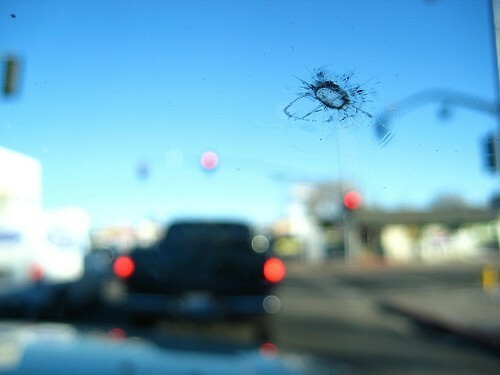 So broken or scratched windshields could actually lead to more severe accidents if not taken care of. So hopefully this clears up some of the more common questions about automotive glass repair and replacement.